We were on scene at the National High School Cheerleading Championship in Orlando, Florida on February 8-10 to watch over 950 of the top high school cheer teams duke it out for the coveted white satin National Champion jackets! Check out a recap and list of medalists on our news page! 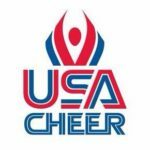 On Monday January 21, the day after UCA College Nationals, USA Cheer hosted tryouts for their 2019 Coed and All Girl competition teams. Click here to see who made Team USA! On December 8-9, the cheer world got their first look at teams and routines for the 2018-19 competition season at WSF in Louisville, KY. Four paid bids and nine at large bids to the Cheerleading Worlds were awarded. View competition results for Worlds divisions on our news page! 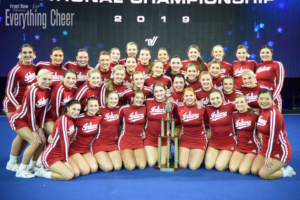 On December 7, some of the top teams from the nation’s largest programs gathered the night before WSF in Louisville, Kentucky for the annual Cheer Alliance Championship. Check out results on our news page! We were in Largo, Florida on Sunday November 4 for Florida Top Dog’s annual showcase. Click here to read all about and view a photo gallery from the event! 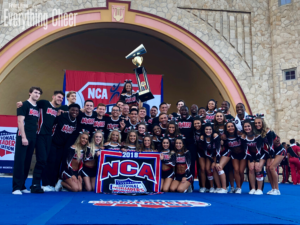 On February 24-25, the Dallas Convention Center hosted the largest all star cheerleading competition of the year, with 23,655 athletes representing 1320 teams from 39 states and 9 countries coming to compete at NCA All Star Nationals. Not only was this year’s event the largest competition of the season, it was also the largest NCA All Star Nationals event in history! 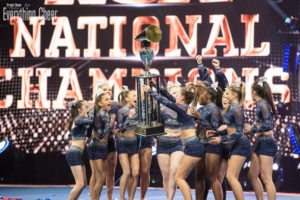 Click here to see who went home with NCA National Champion jackets, megaphone trophies, and one of 9 paid and 18 at-large Worlds bids.